We have compiled a few frequently asked questions. Should you have a question that is not answered here, you’re more than welcome to email us and ask away. 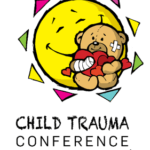 Jelly Beanz is a non-profit organisation that is on a mission to change children’s lives. We specialise in working with children that have experience trauma, abuse and neglect. Our focus is to help children through direct therapeutic services and indirectly through training and mentoring of professionals in the field of child protection and mental health as well as developing tools to be used in helping children heal. Jelly Beanz is a small organisation with big ideas and dreams, expertise and staff that are passionate about South Africa’s children. Where is Jelly Beanz based? Jelly Beanz has two offices: one based in Table View, Cape Town, and the other in Garsfontein, Pretoria. However, these are just our bases, as we believe we need to be working in the neediest of communities. Some of the communities in which we provide direct services are Dunoon, Riverlands and Delft. However, we try to make ourselves available to the bigger Cape Town area by providing services also at the Table View office. What makes Jelly Beanz different from all the other charities? The founders of Jelly Beanz have over 49 year’s collective experience working with children. Together with all our team members we have a vast knowledge and skill set with each person bringing their unique skills to the table. We are acknowledged as experts and leaders in the field. We are also fortunate to have the support from other major role-players in the child trauma field, and loyal passionate sponsors. Together we strive to source and create holistic, relevant and appropriate solutions within the African context for our hurting children. NGO stands for non-government organisation, and should be on the register for non-profit organisations with the Department of Social Development. Jelly Beanz is a non-government organisation and NPO. We are privileged to receive funding from the Department of Social Development to support the work we do. Can I meet up with Jelly Beanz? We would be happy to meet with you… on the telephone, email, Skype and in person. What is Jelly Beanz’s main purpose? To make a lasting difference in the life of children in South Africa that have been hurt through trauma, abuse and neglect. Why should I donate to Jelly Beanz? Jelly Beanz is dependant on the goodwill of individuals, groups and corporates to support the work we do. When you donate to us it allows us to spend more time doing what we are good at, helping children. The more support we receive, the more children we can support. Does Jelly Beanz only accept monetary donations? Who are the people that Jelly Beanz supports? We recognise that families, individuals and communities do not have equal access to mental health services through various circumstances. Jelly Beanz tries to target areas where children experience high levels of difficulty, violence and trauma. When was Jelly Beanz established? We started the organisation in 2009. However, Marita Rademeyer and Edith Kriel have worked in the child trauma and mental health field for numerous years. Is Jelly Beanz a registered non-profit organisation? If I make a donation can I claim it back from tax? How does Jelly Beanz help society? Trauma, abuse and neglect has a profound impact on children. This may be seen in behaviours such as aggression, behavioural problems, depression, anxiety, self-harming, risk taking behaviours, promiscuity, learning difficulties to name but a few. We know that trauma has short and long term consequences, and this creates distress in relationships, health and mental health, parenting and the ability to lead a successful and responsible life. Trauma, abuse and neglect can have impact throughout generations. This cycle needs to be interrupted. Jelly Beanz provides such opportunities for our children and their families to heal and move forward in more constructive and helpful ways. Thus, our current work helps repair and build the future.